Search and book your perfect villa accommodation from 1000's of villas worldwide. We have teamed up with leading villa operators to bring you a comprehensive list of properties all in one web site. Use any of our search facilities or featured properties and special offers to book the villa that suits you. We understand your holiday is a big deal. 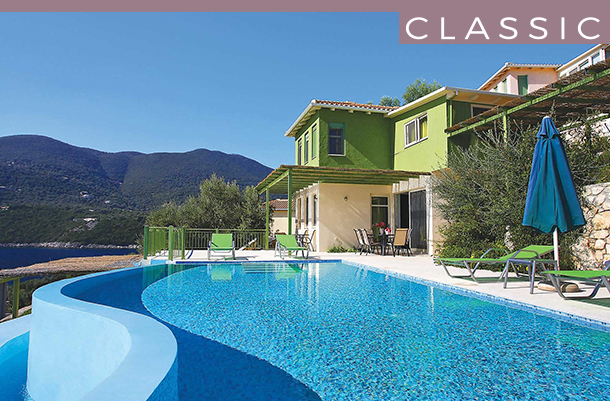 Whether you're looking for a budget break or to splash the cash – you want to find the villa that is right for you! That's where our villa collections come in! 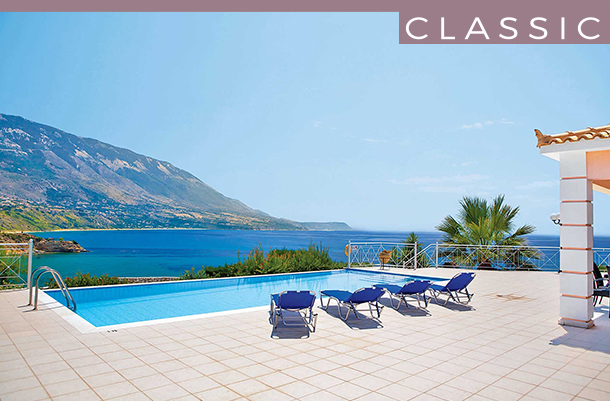 From cool Classics, standout Signatures right up to our lavish Luxury villas, we have the home from home for you. We even offer villas on Holiday Resorts so you can enjoy the seclusion and privacy of a villa with amenities on your doorstep! Fun-filled days by the pool, balmy beach breaks, and barbecues on the private terrace - make these holiday dreams a holiday reality! Within our sublime selection of villas, we’ve got some plush pads with your name on it if you like luxury. These desirable properties are set in stunning locations and boast plenty of space, top-notch facilities and private pools. But go one better and you can even enjoy extras such as butler service! Tempted? An idyllic island getaway is surely on everyone’s bucket list? With many of our destinations offering the perfect backdrop for a slice of island living, castaway to your own villa retreat! From big holidays with all of the family, to that intimate getaway with you and your loved one, island life is hard to beat. The deep blues of Corsica, the rugged splendour of Lanzarote, or perhaps even further adrift - where will your next ‘escape it all’ holiday take you? Eager to escape to some early summer sun? With the temperatures rising across many of our destinations, and a stunning range of villas ready and waiting for you keen pre-summer holidaymakers - it’s time to check in! 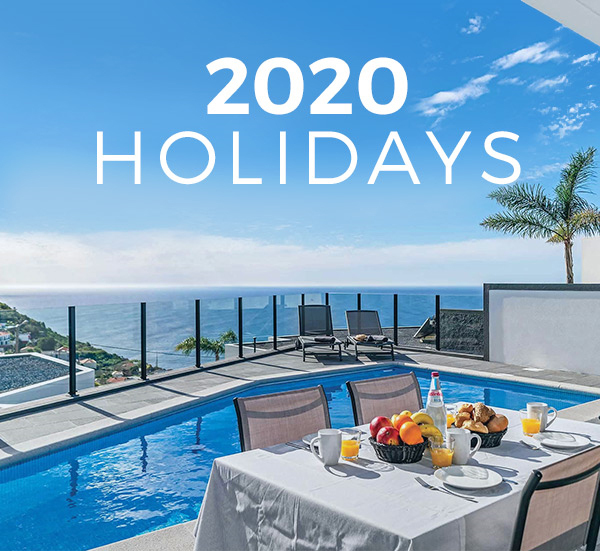 Our 2020 Holidays are now available to book! A summer holiday… or maybe some winter sun? You can now stop dreaming of next year’s getaway and start planning. Whether it’s the infinity pool, the great views, the hot tub or the barbecue – there’s a villa for every desire across our beautiful destinations. So book your villa holiday before the rest! A number of our 2020 holidays only have low deposits to pay too! When seven nights of sun just isn’t enough, why not treat yourself to 10? You can now jet off to the majority of our destinations for a 10 night villa holiday. So you’ll have more time to relax and fully unplug from day to day life! Whether you want more time to explore local cultures, discover tasty cuisines, or simply just more time topping up that tan - a 10 night retreat is what you need. Showcasing classic Greek and Italian architecture, this plush property is great for a Rhodes retreat. Inside, it’s beautifully decorated, while there’s a super-stylish pool area outside as well. Choose to dine in the complex’s trio of restaurants or request first-class service such as a butler for mealtimes indoors. 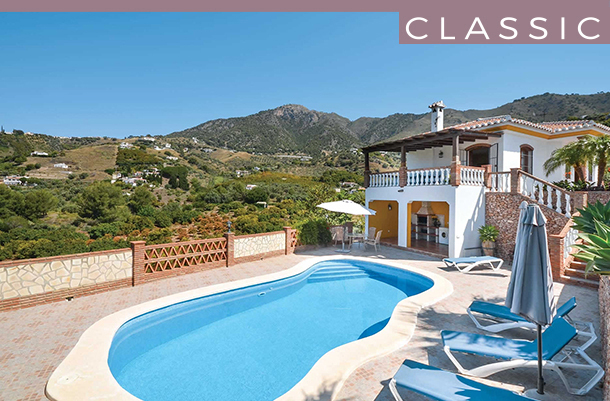 Situated high in the beautiful countryside of Frigiliana, Villa Conchi is well-appointed throughout and offers wonderful views across the surrounding mountains. Highly recommended, this lovely property is tastefully furnished throughout and is located in a slightly elevated position providing picturesque views of the town from the first floor balconies. Boasting panoramic seas views, this well–appointed villa is perfectly positioned overlooking the bay of St. Thomas. A perfect choice for those seeking uninterrupted sea views and a direct access to a private sunbathing platform set off the rocky coastline. A Villa holiday gives you total flexibility to do whatevery you want to do, treating your chosen resort as home-from-home in the sun. Whether you are looking for beach villa, a countryside getaway spot or a family-friendly property, our comprehensive selection of villas with pools allows you to create your ideal holiday. Every villa has a private or shared swimming pool and barbeque, and you can also book personalised airport transfers and car rental or simply rent the villa on its own. Villas with Style are a range of luxury villas with enhanced facilities, excellent customer reviews and also come with the enhanced benefits of a welcome grocery pack on arrival. What could be more exciting than choosing what resort to visit on holiday? We're proud to bring you top destinations across the Mediterranean and beyond, for both summer and winter holidays, and with every type of villa imaginable. Whether you're looking for a traditional farmhouse, a modern villa with lots of activities on your doorstep in a Holiday Resort, or something extra special from our luxury range, we can arrange the ideal holiday for you. Our Classic villas provide a warm welcome, with all the modern comforts and facilities, for anyone who’s looking for that home–away from home. With the majority of our villas coming with a private pool, sunloungers and al fresco dining facilities as standard you'll love the villa lifestyle. Our Signature villas come with all the features of a Classic villa but with those added touches to make you say ‘Wow!’. 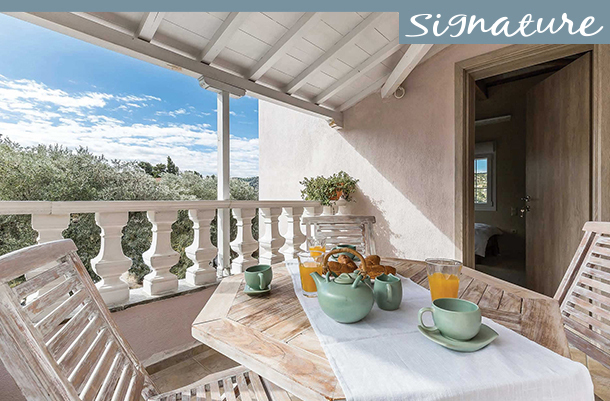 From the small things like Free Wi-Fi and coffee machines to the big things like amazing views, stunning locations and manicured gardens – our Signatures are standout for a reason. Where elegance meets glamour and every comfort is taken care of with first–class facilities aplenty, you have the chance to experience high–life living at its finest in one of our Luxury villas. With all the all the fabulous features of a Signature villa, plus opulent décor, luxury sunloungers and private ensuites – why not enjoy the finer things in life? Enjoy the space and freedom that comes with a private villa with the entertainment and convenience of hotel style facilities right on your doorstep. 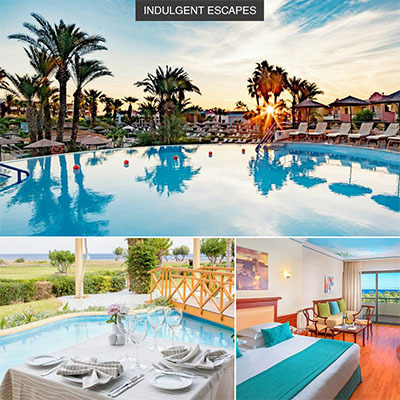 From villas to apartments and even townhouses, our Holiday Resorts offer the best of both worlds! Why Book a Villa Holiday ? Escape to the sun this summer with the whole family, or friends, with our finest handpicked properties for all group sizes – from 2 to 20! A small hideaway in the hills or a grand property on the coast – with over 2900 villas we have something for everyone. Why squeeze into a hotel room when you can enjoy a home away from home, private outdoor space and of course the swimming pool… all to yourselves. There’s no need to rush for sunloungers, or swim in pools too crowded when you choose a James villa. Only reserved for you, you get to make the pool rules. Get together to dine alfresco, gather around the barbecue to reminisce about your trip to the beach, or splash around with the children. FREE Car Hire with the BIG Holiday offer means no matter where your villa is, you have the freedom to go the extra mile. Planning a special birthday, anniversary, or celebration? For the ultimate memorable experience, bring everyone together to mark the occasion and make memories that last on a villa holiday. Enjoying your own space and privacy whilst on a large group holiday is possible, with our selection of villas next or nearby to each other. Take advantage of FREE Airport Parking. We can also arrange airport hotels, lounges and transfers too for a stress free start to your holiday.